Lightning Dock to play and charge Lightning compatible iPod/iPhone models. Gradual Wake to iPod/iPhone, FM Radio, or buzzer alarm. 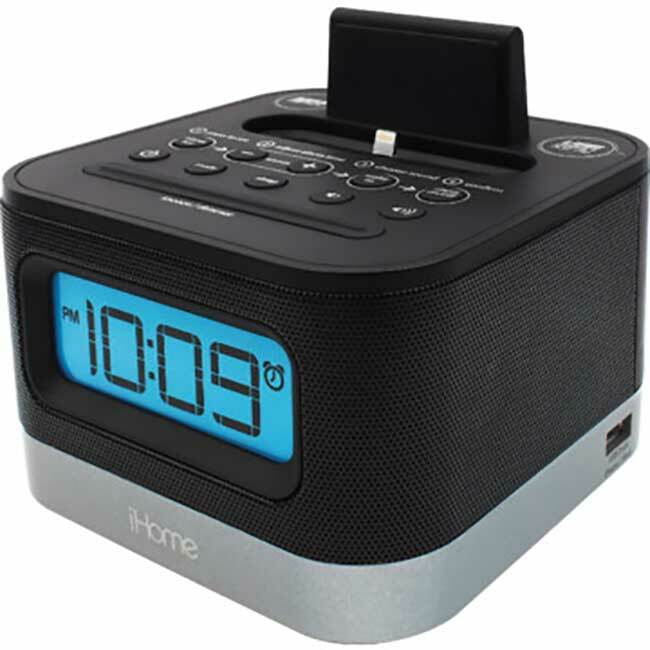 Sleep to iPod/iPhone or FM Radio with separate volume control and auto-shutoff. Auto-Time Sync sets the clock to match iPhone time each time you dock. SureAlarm Battery Back Up System, CR2450 battery included. 100-240V Universal AC Adapter included. Big FM Stereo sound from a compact system that takes up minimal space on your desk or night table. The flexible Lightning dock plays music while charging all Lightning compatible iPod and iPhone models including iPhone 6 and iPhone 6 Plus. Rather than setting up the time yourself, Auto Time Sync sets the clock to the super accurate time on your iPhone every time you dock it. Lastly, you have six preset station memories to store your favorite stations for instant recall. 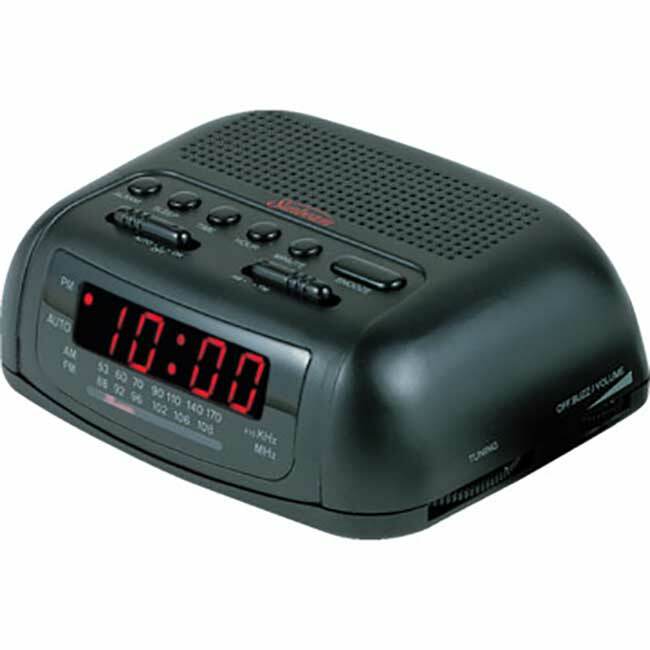 Wake to your favorite iPod/iPhone music files, FM stereo radio or buzzer alarm. With the Gentle Wake System, the alarms start softly and increase gradually to wake you gently. 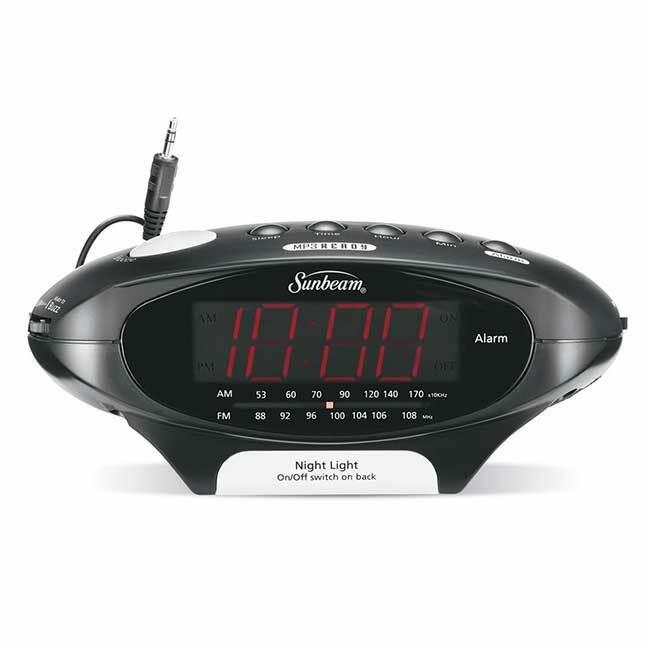 In addition, you have the option to program the sleep-to-music timer with separate volume level control. A programmable Snooze time setting is also included. The SureAlarm battery back-up will turn on the buzzer alarm even during power failures (Requires 1 CR2450 battery, included). Another great feature is the twin, side-firing dynamic speakers in specially designed Reson8 sealed enclosures that deliver excellent stereo separation, clear highs and powerful bass performance. 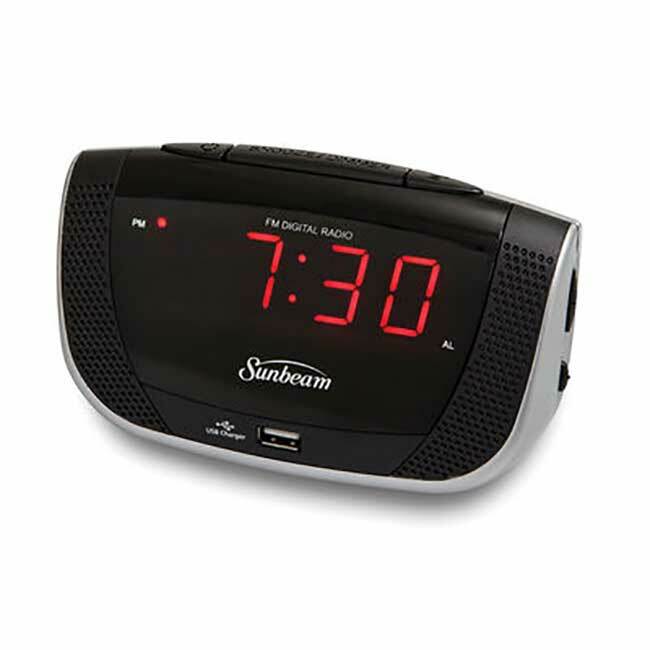 The large, bright, back-lit display shows time, alarm time, radio station frequency, and volume level. It also includes PM, Alarm Set, and Low Back up Battery warning indicators with adjustable backlight brightness.